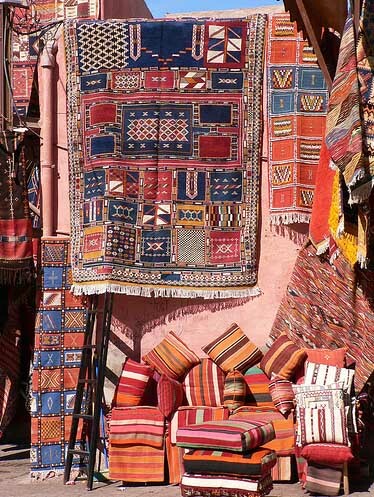 Morocco's textile tradition has been a source of great pride to Morocco's craft industry for centuries. 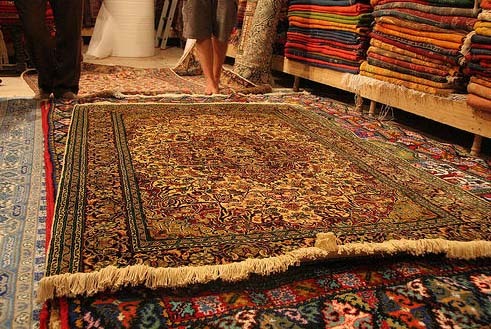 Beginning with Moroccan carpets and leather products, Moroccan textiles have quickly gained popularity around the world. The caftan, a long flowing Moroccan dress, the pouf, a circular leather pillow used for seating, and the babouche, leather slippers traditionally worn in mustard yellow or white, have recently become very fashionable in the West. Morocco's textile renaissance is just beginning thanks to an exciting and talented young generation of designers who are adding a modern flair to many traditional styles and products such as the babouche and caftan. 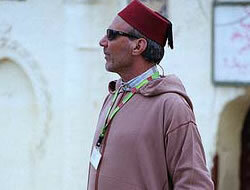 The caftan epitomizes the refinement and skill of Moroccan fashion. It is a long flowing gown worn by women on special occasions. One of the most important elements of the caftan is the belt, or m'damma, which tightens the caftan around the waist. In the olden days, this belt would be made of precious metals such as gold, and encrusted with precious stones. Today the m'damma is usually more understated, made of fabric. In recent years this traditional garment has returned to the forefront of Moroccan fashion, thanks to young Moroccan designers who have modernized the caftan sometimes even to the point where it is no longer recognizable. The most impressive Caftan creations are presented annually to the world at the famous Caftan fashion show (pictured here). 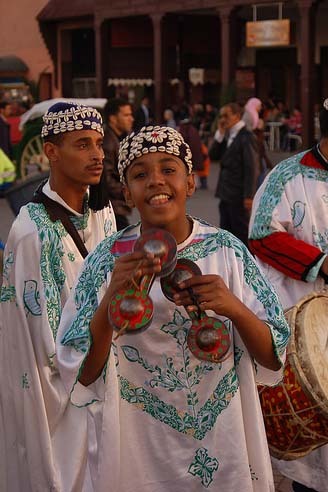 The djellaba is similar to the caftan because of its long flowing style but is unisex, does not have a belt and comes with a hood. 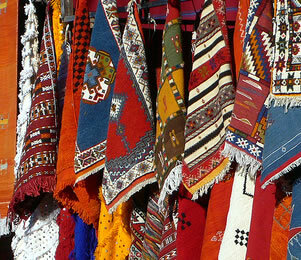 Most djellabas seen in the street are very simple, as they are everyday clothes. The djellaba, however, is also the man's equivalent to the caftan for formal events, and these djellabas are just as intricate, refined and luxurious, if a bit more understated in their design, patterns and colors. 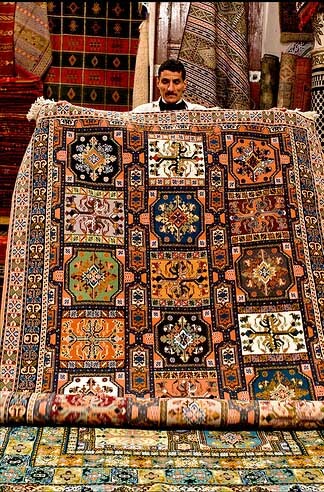 Moroccan rugs are some of the most renowned and recognizable in the world. 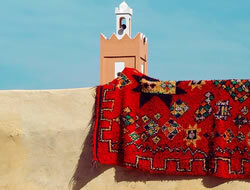 Moroccan rugs are characterised by very vibrant patterns, especially with regards to the Southern style. 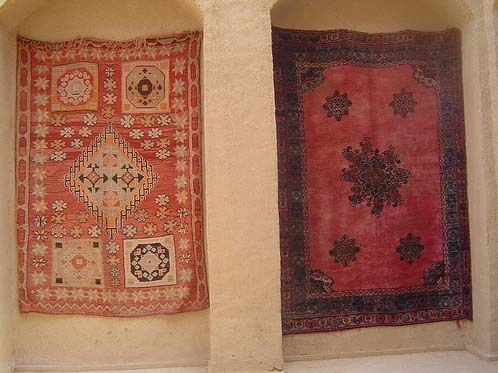 Hunting for a rug in one of Morocco's numerous souks is a magical experience, with merchant presenting hundreds of rugs, some of which are very old and have a history only matched by their beauty. 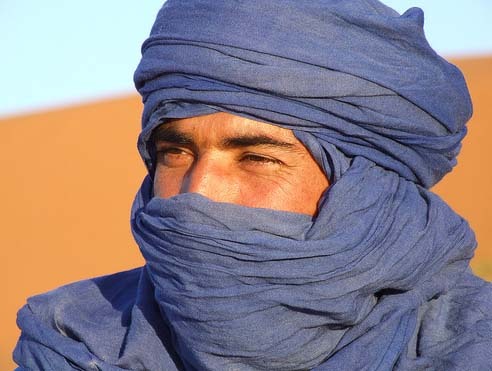 Morocco is a very sunny place and as such, Moroccans from different regions have found fascinating and diverse ways to cover their heads. 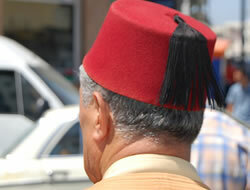 The fes hat is the most famous and synonimous with Morocco. 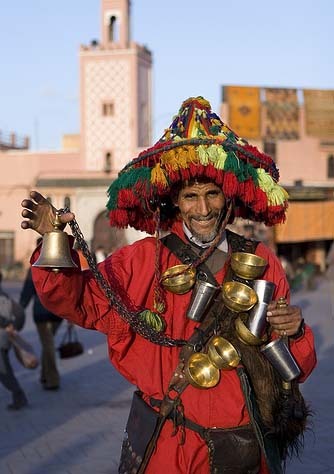 Other well-known hats include the Gnaoua hat, popular in Essaouira, the Touareg head scarf, used in the desert and the whimsical water seller's hat. 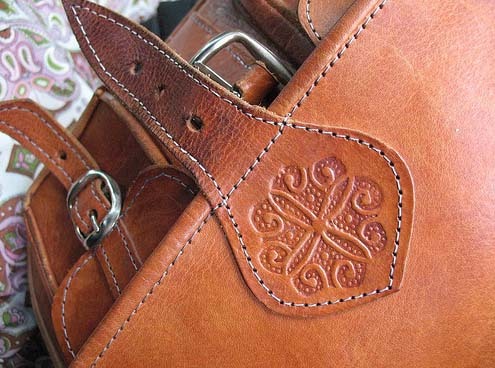 Moroccan leather is one of the finest in the world; Maroquinerie meaning leather goods in French for good reason. 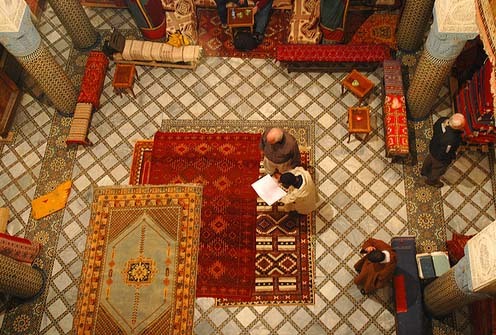 Moroccan leather working is centuries old and the traditions of the craft have stayed unchanged. 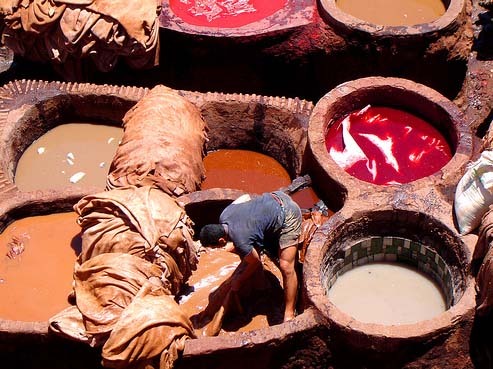 Leather tanneries still use natural dyes and dry their leather out in the sun. 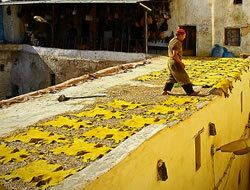 The most famous leather tanneries are those of Fes. 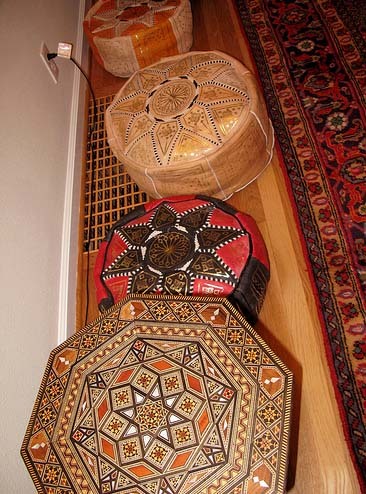 The most popular leather goods made in Morocco are traditional slippers, or babouches, sitting pillows called poufs, bags and jackets.